The epc200 is a high-sensitive, high-speed, low-cost photodiode for light-barriers, light-curtains and the like applications. They are designed to be used in a reverse-bias mode with a bias voltage between 1.5 and 20 Volts. The diodes feature a very high quantum efficiency of 90% in the near IR range and a response time down to less than 100ns. 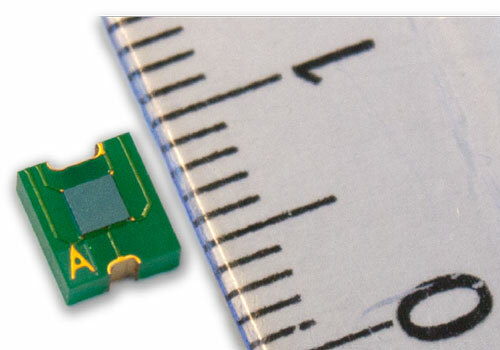 The advanced Chips Scale Package (CSP) makes this device ideal for miniaturized systems where a minimal space requirement is key. This device allows the design of short to long range light barriers from a few millimeters up to tens of meters.